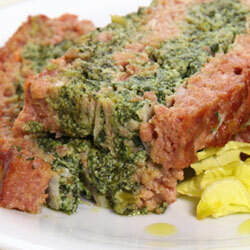 Authentic Italian meatloaf named in Italy "Polpettone" suffed with spinach and ricotta cheese and a few slices of Italian speck with eggs or bacon. 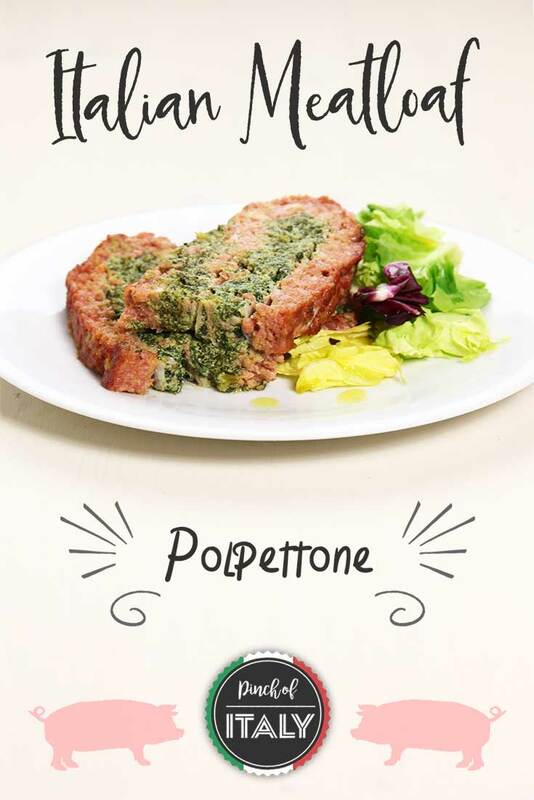 You can proudly serve it to your family and say: "This is my first Italian meatloaf...". If you haven't already this is the recipe to look for! On a chopping board cut the onion, celery and carrot and then fry it in a sauce pan with olive oil over low heat for 2 minutes. 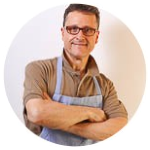 This method is called in Italan "soffritto". 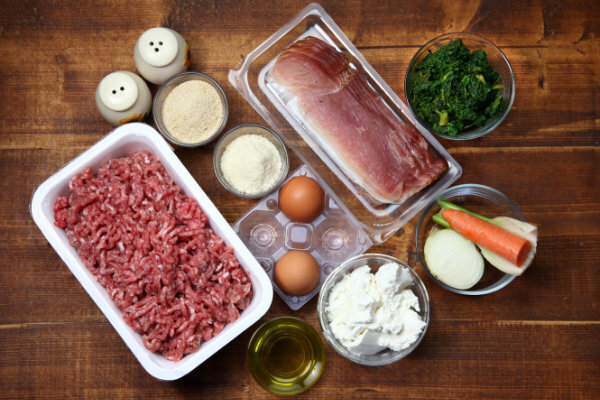 In a large bowl add the ground pork, eggs, breadcrumbs and Parmiggiano cheese. Knead the all by hands until the mixture is neither too soft nor too hard. 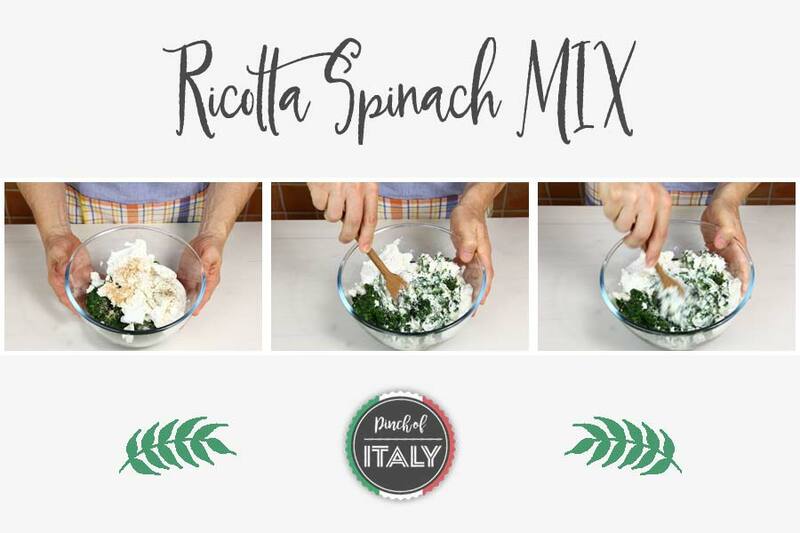 In a different bowl add the spinach and ricotta cheese with salt, pepper and a pinch of grated nutmeg. 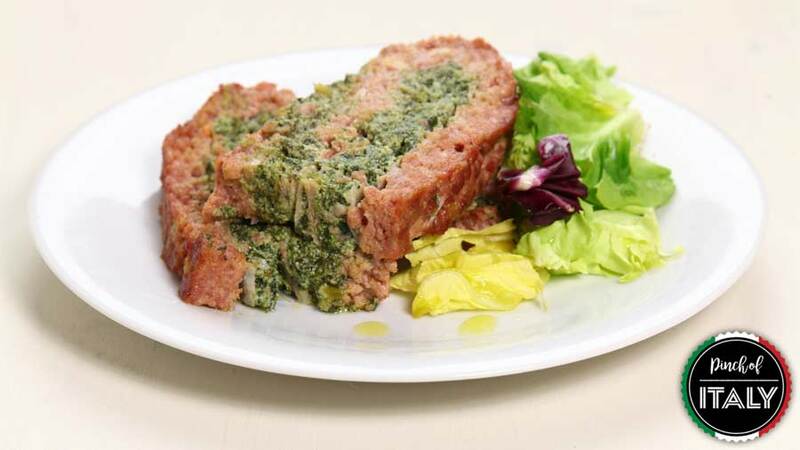 Mix the all and keep aside to make the meatloaf roll. Lay the mixture of meat down on a sheet of baking paper and flatten it with your hands. Put 4 slices of Italian speck or bacon over it. Then make the layer of spinach previously mixed. Add another 4 slices of Italian speck or bacon over the spinach and ricotta cheese. Now carefully roll the meatloaf with baking sheet and place it in the baking pan removing the sheet. Cover with aluminium foil and bake for about 50 minutes at moderate heat 350°F (180°C). Remove the aluminium foil and grill for the last 5 minutes. 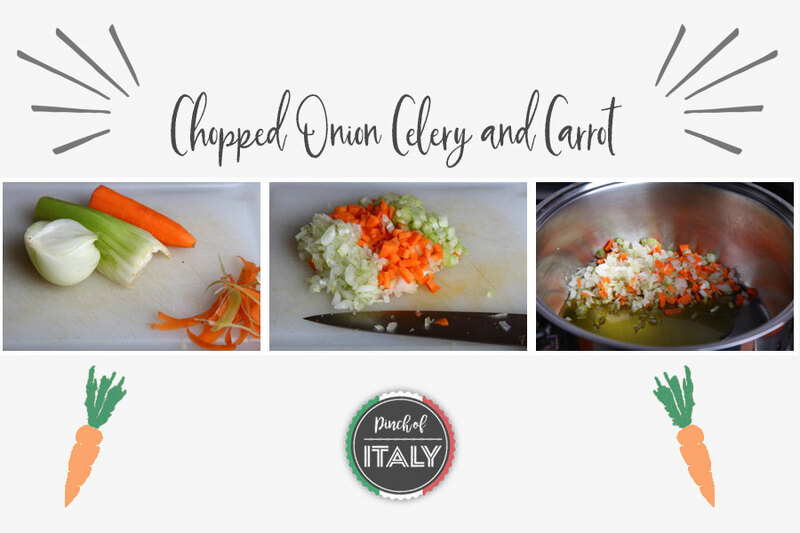 Finely chop the onion, celery and carrot and add them to a sauce pan with the olive oil. Cook for about 2 minutes. This is what's called in Italian cooking "soffritto". Take a large bowl and add the meat, eggs, breadcrumbs, parmiggiano cheese and the fried onion, celery and carrot. 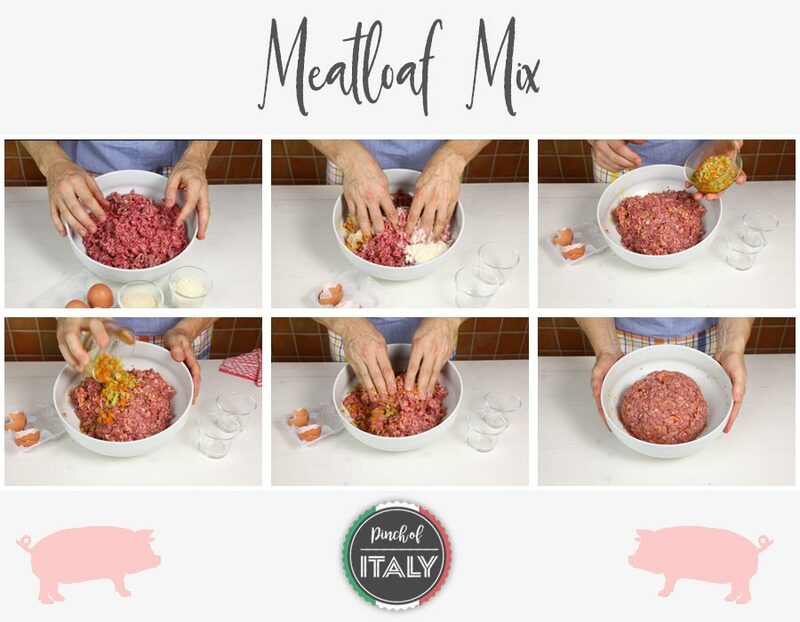 Mix all until you have made a big ball of meat said in Italian "polpettone". Into another bowl put the cooked and drained spinach and add salt, pepper and grated nutmeg. Mix with a wooden fork to make a compound. 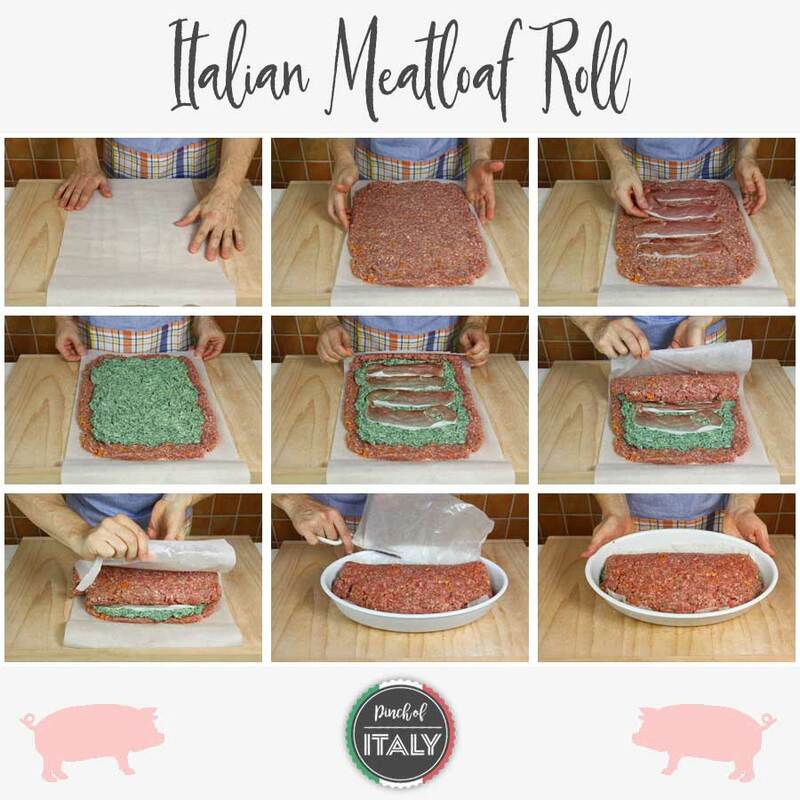 Then simply follow all the pictures below to make the Italian meatloaf roll. Bake at 350°F (180°C) for about 50 minutes coverd with an aluminium foil. Grill 5 minutes and serve with roasted potatoes or salad.